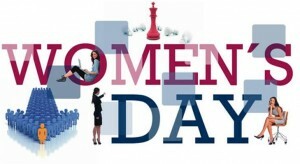 A good example of how IE Business School helps women to reach their professional goals is through events like “IE Women’s day: Women without fear of power”, taking place next 1st June at our Madrid campus and will speak about the keys to success for women. This event will count on the presence of Mrs. Mónica Deza, Vice President of Innovation of the McCann World Group in Spain and Counselor of APD, Mrs. Mª Paz Sánchez, Director of General Electric Capital in Spain, and Mrs. Elisa Martínez de Miguel, Executive Partner of Newmann international. These women have enjoyed success in their careers, and they will share with us their personal experiences, opinions about the current position of women in the world and their professional development. The audience will also have the opportunity to network with each other and the different speakers. If you want would like to attend, please click here. Un claro ejemplo de cómo IE Business School ayuda a las mujeres a lograr sus objetivos profesionales, es a través de eventos como el “IE Women’s day: Mujeres sin miedo al poder”, que se celebrará el próximo 1 de junio en nuestro campus de Madrid, el cual va dirigido a todas las mujeres que quieran conocer las claves del éxito femenino. El evento contará entre otras con la participación de Dña. Mónica Deza, Vicepresidente de Innovación de McCann World Group España y Consejera de la APD; Dña. Mª Paz Sánchez, Directora para España de General Electric Capital o Dña. Elisa Martínez de Miguel, Executive Partner de Newmann international. Las asistentes tendrán la oportunidad de intercambiar opiniones entre ellas y de charlas con las diferentes ponentes. Si quieres asistir a este evento, pincha aquí.